The CIA’s torture program had explicit guidelines on human experimentation from 1987, according to a report. But their regular practices, including participation of medical staff in torture sessions, may have violated those guidelines. 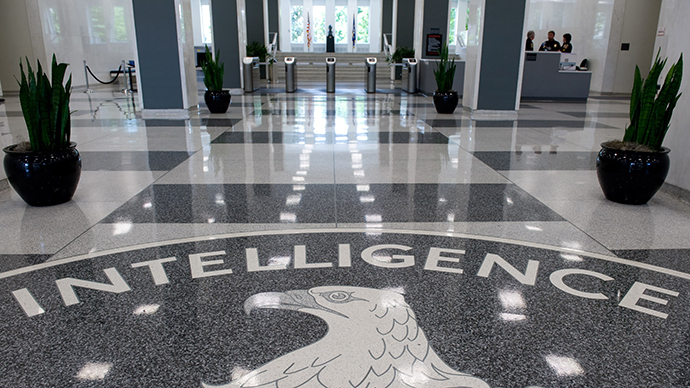 A document obtained by the American Civil Liberties Union (ACLU) and published on Monday by the Guardian reveals the Central Intelligence Agency was prohibited from conducting or sponsoring research on human subjects without their consent. The “Law and policy governing the conduct of intelligence activities” was originally enacted in 1987, and was last updated in 2013. “CIA shall not sponsor, contract for, or conduct research on human subjects except in accordance with guidelines issued by the Department of Health and Human Services (HHS),” which require “informed consent” of the subjects, the legal document says. CIA Director George Tenet used this authority to approve the use of “enhanced interrogation techniques" (EIT) in the course of the detention, rendition and interrogation program launched after 9/11. The techniques were developed by psychologists contracted by the CIA, and included the infamous torture by waterboarding. Tenet also ordered the agency’s Office of Medical Service (OMS) personnel to oversee the interrogations. Tenet’s official instructions endorsing waterboarding also commanded OMS staff to be present at interrogations. As a result, they evaluated and extensively documented the torture sessions – something experts interviewed by the Guardian said may have crossed the line in human experimentation, by blurring the lines between providing medical aid to subjects and keeping them capable of enduring further abuse. This instruction appears to be based on the agency’s experience with waterboarding Abu Zubaydah in the summer of 2002. OMS personnel were present during the interrogation, and helped revive Zubaydah after he passed out. OMS doctors also helped the agency’s interrogators evaluate and calibrate “enhanced interrogation techniques,” the agency’s preferred euphemism for torture of suspects in CIA custody.